This gun was introduced into the British Army in 1859. 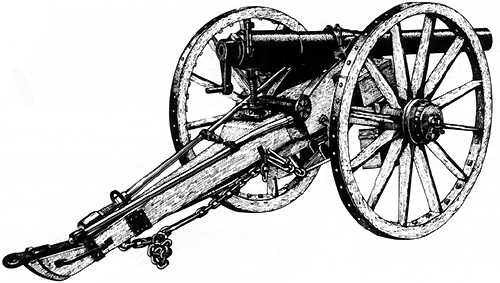 It was one of the first practical breech loading field guns of the modern era. The gun could fire shrapnel, case shot or an explosive 11.56lb. shell (hence the designation as a 12pdr). The calibre was 3in. It was considered highly accurate.